It’s Theme Game time! The time to be creative and possibly win a little prize too, courtesy of The Reading Residence and Red Peffer’s linky. This week the theme is ‘New’. I love being a mum for so many reasons. I love being the one who looks after my little girl. I love how she needs me. I love looking at her face, watching her smile and playing with her. One of my favourite things is watching Baby experience new things. Seeing the world through her eyes. Through eyes where many of her experiences are ‘new’. 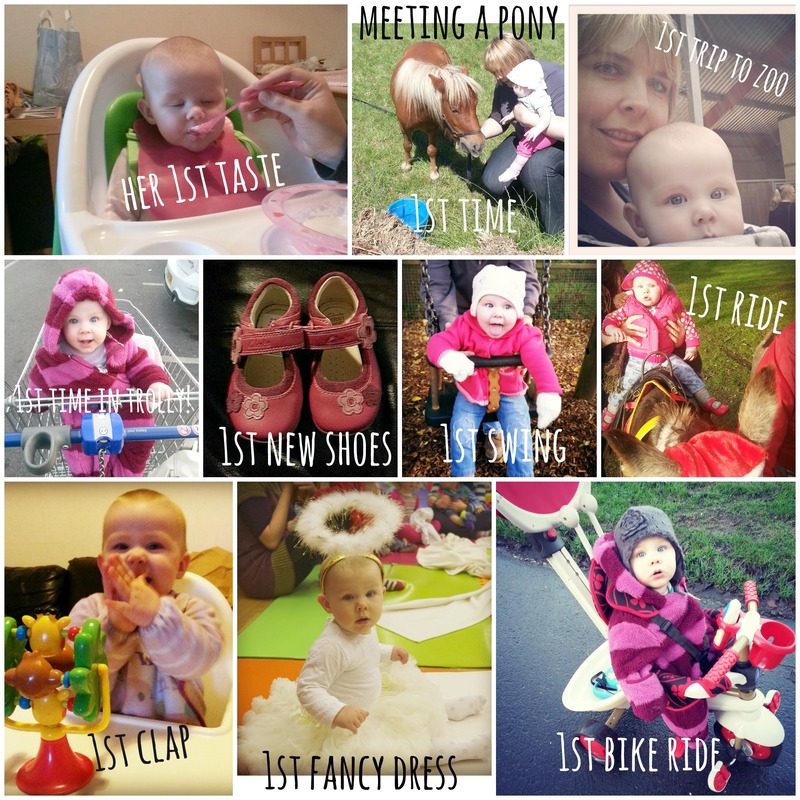 Baby is almost ten months old and so she has experienced quite a few new things so far in her life. I have had the pleasure of being there, with her, for all of them. As you can see from our pictures, they are everyday moments, but to her they have all been new, exciting and special. As her mum I get to experience all these things again, as if they are new to me also. I can not wait to be by her side, as she continues to have these wonderful new experiences. Those photo’s are lovely and you’re right, experiencing all those ‘new’ things is just magical. Thank you for sharing with #TheThemeGame.